OS Explorer Map 131, 'Romsey, Andover & Test Valley'. Starting GPS Co-ordinates: N51 17' 60" W001 57' 60"
Finishing GPS Co-ordinates: N51 20' 10" W001 58' 40"
To see: Hawk Conservancy, Thruxton. Named after a particularly vile ex-girlfriend of your unfortunate Explorer's (actually it's named after the farm at its northern end, but still...) Georgia Lane begins where the tarmac ends just after passing under the West of England Mainline railway. The byway offers an unrutted, grassy surface which is solid throughout. Initially quite easy going, after having passed down the greenlane for about a third of its total length, the undergrowth bordering the byway on each side closes in somewhat and the paintwork begins to protest. It stays somewhat uncomfortable for the majority of the remainder of its length, and only offers respite on entering the track serving the barnyard of Oklahoma Farm just before reaching Old Stockbridge Road. 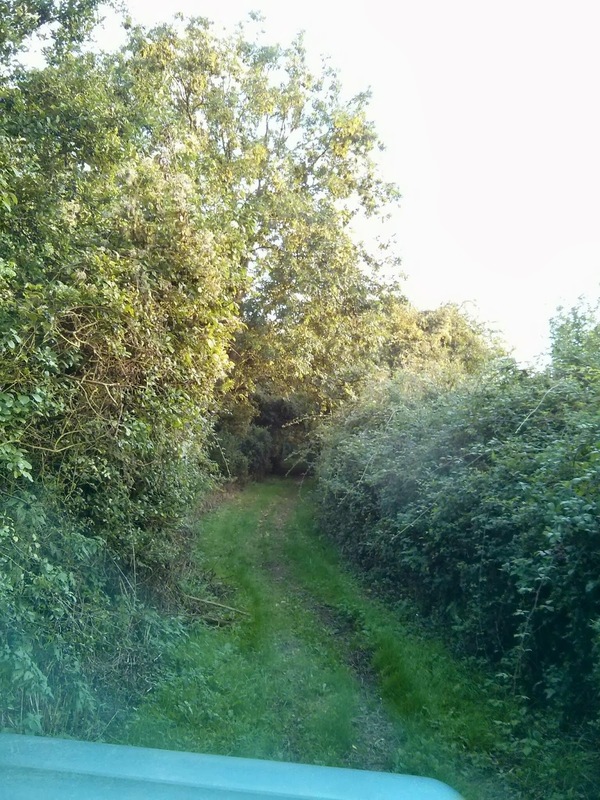 On crossing the latter, the byway )now called Park Drove) continues for a short distance on a potholed gravel surface serving some cow sheds, before turning back into a metalled country road running down to the village of Over Wallop. As such, there really is little to recommend this byway and it scores a 2. The Hawk Conservancy, a bird-of-prey centre, is just fantastic. It's nearby to the north-east. Also to the north of the byway is Thruxton race circuit, should you desire to travel at a somewhat faster pace than that offered by greenlaning! To Hampshire County Council these are Byways 12, 23, and 29, combined here for convenience.